Tyron is a Sydney based Cinematographer/Editor, passionate about visual storytelling and finding creativity in any and every project. 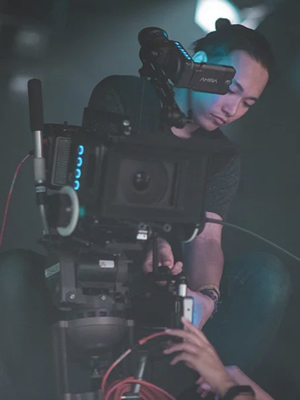 With a post-graduate degree specialising in Cinematography from AFTRS and a strong background in production behind him, he brings a cinematographer’s eye and a knack for crafting stories and building a sense of rhythm in his edits. Street savvy and a technology native, he’s just as happy shooting run and gun as he is in a studio with a fully built out camera package – adapting his shooting style between changing conditions and different shoots. Meeting the demands of quick turnarounds and modern workflows, Tyron is also a specialist Premiere editor having cut content for big shot companies and TV stations, allowing him to provide a complete service seeing projects through from start to finish.